Whether you're looking for wholesale Cadbury-Adams candy for your store or just want to stock up on your favorites for personal enjoyment, The Wholesale Candy Shop is the name to trust. We have Sour Patch Kids, Swedish Fish, Bubblicious or other delectable treats so you can find what you need for less in our incredible lineup. Because wholesale candy is all we do, we're able to deliver unbeatable value, and our commitment to customer service is second to none. Unlike many bulk candy companies, The Wholesale Candy Shop is family owned and operated. As a result, we're able to deliver a truly personalized level of service to our customers. We have great prices on the best sour candy like Sour Patch Watermelon or nostalgic gum like Beemans or Clove Gum. 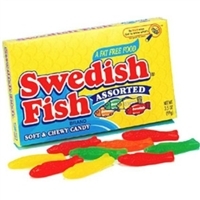 Our sour candy and other items qualify for free shipping for orders over $150.00, so you can save even more. Place your order now! Four milk chocolate squares filled with liquid caramel. Four milk chocolate squares filled with liquid caramel in a king size bar.